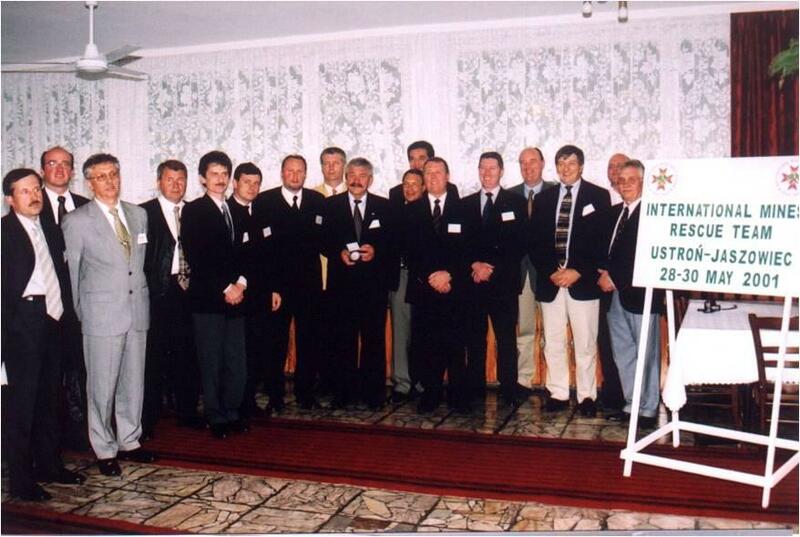 On the initiative of the Central Mine Rescue Station in 2001, the International Mine Rescue Body was established. 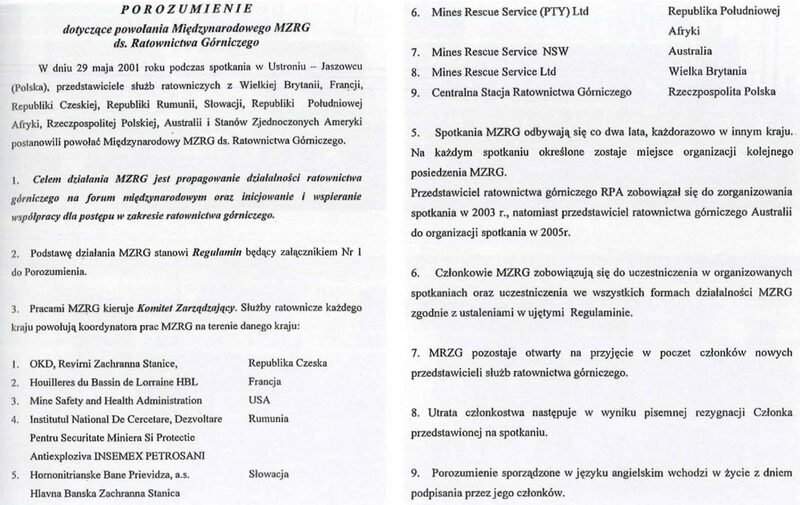 Cooperation agreements were signed by representatives of 9 countries: Australia, Great Britain, France, Czech Republic, Romania, South Africa, Slovakia and Poland, USA. Today, the IMRB brings together 22 countries. The team’s task is to promote the activities of mining rescue services. At present, IMRB brings together 22 countries from all continents. 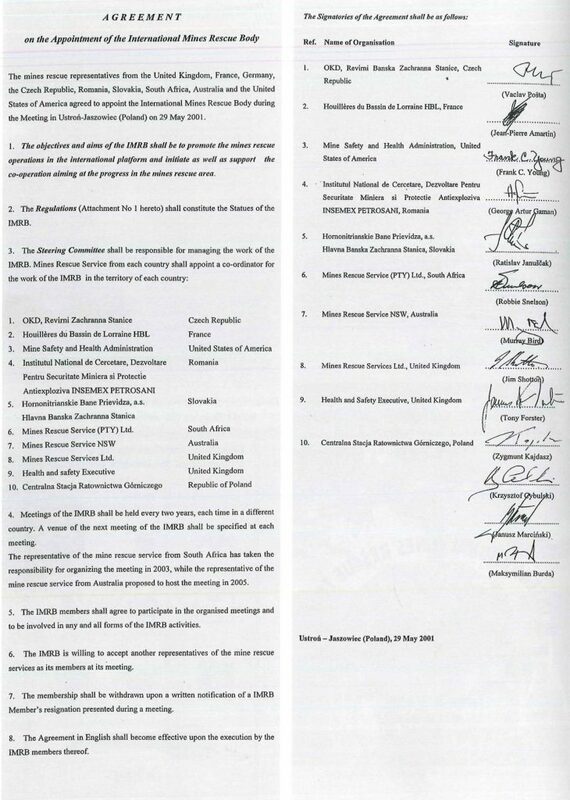 Poland, as one of the signatories of the agreement, participates actively in all meetings of the Team. The last meeting took place in the first days of September 2017 in Russia.